The list of courses offered by Adekunle Ajasin University (AAUA) are displayed on this page. Candidates who wish to apply through JAMB should click on any of the courses to see the course requirements. Adekunle Ajasin University (AAUA) is a state government owned and operated Nigerian university. 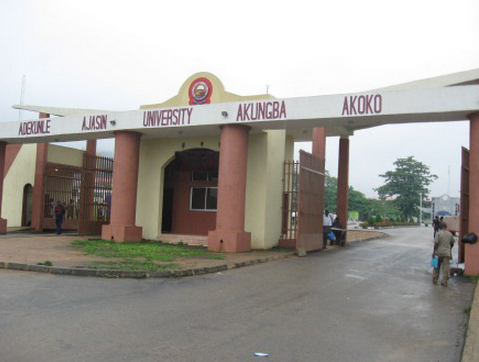 The university is in Akungba Akoko, Ondo State, Nigeria. Adekunle Ajasin University is located at P. M. B. 001, Akungba-Akoko, Ondo State, Nigeria. Adekunle Ajasin University offers undergraduate and post-graduate programmes in fields of specialization ranging from Science, Arts, Education, Education, Law, Social Sciences, Management Sciences and Agricultural Sciences. The university has 6 faculties. I have HND in Environmental Health Technologist. can i gain admission to Adekunle Ajasin University for my PGD? There is Political Science and Public Administration. pls wot course can i study with dis result.englishc6, literaturec6, governmentb2, civicb3. pls i need answer now. Pls can I obatin AAA….with GCE exam….that I’ll start next month?…. can it meet I’ll the screaming? And which course can I study as commercial student?? Can I study industrial chemistry in AAUA with D7 IN ENGLISH AND PHYSICS with UTME score 224.